While my prefered way to enjoy Youtube videos is to have them downloaded as mp3 format, Have you ever been so annoyed with not being able to play YouTube in the background on your smartphone, whether Android or iOS? Of course, I know the obvious answer, YES! It is actually irritating when you want to only listen to the music of the video so that you can do multiple tasks instead of just sticking to the video. But since you are not among the YouTube Red subscribers, you deal with it like it’s an obligation. Well, only unless you know how to cheat. You may find it absurd but yes, you can play YouTube in the background on your Android or iOS and do other things on your phone. And the trick is to use a browser instead of the YouTube app to play the video that you only want to listen to. 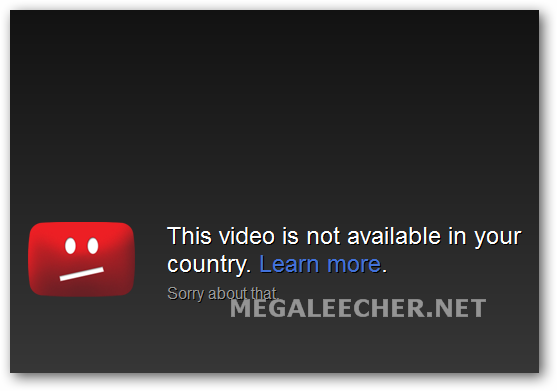 The Youtube geographical video viewing restrictions were easily bypassed using a simply URL trick shared earlier, however the hack is no longer working so here we have a new working solution to view videos without the regional/geographic block anywhere in world. Earlier when YouTube was testing high resolution videos, we posted a hack to view YouTube videos in high quality by simply appending a parameter to the existing url, but there is no need for such hack now as YouTube provides option to view the high quality version of the video, However, YouTube still does not provide any method to let users embed high quality version of the video on there blog or website, but using the hack below you will be able to embed high resolution Youtube videos.